Delivering large-scale projects, measuring Customer Satisfaction Score and passing Salesforce Certifications, blazing trails and earning badges – we had to go through all of the above and much more to reach the target number of Salesforce partner points. And Voila! We are happy to announce that VRP Consulting has become a Salesforce Silver Consulting Partner as of November 1st. Woohoo! It’s been a long time, but we’ve finally made it! To say it means a lot to us would be an understatement! 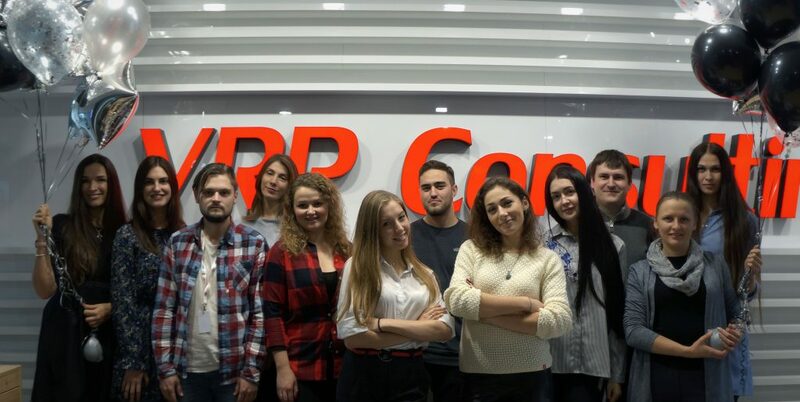 We would like to thank all our customers for effective cooperation, absolute trust and expressing the highest level of satisfaction with the service VRP Consulting delivers – the overall CSAT score we achieved is 10 (aha! ), which is equal to total customer satisfaction and is above the required satisfaction score of 8,4! Yay! Thanks a million to our team of highly-qualified pros, specifically, Certified Developers, Certified Application Architects as well as Certified Sales and Service Consultants for gaining coveted Salesforce certifications that are counted in PVS, which helped us eventually earn a decent Partnership Value Score. We truly appreciate your efforts and commitment to our success. Good job, guys! Last but not least, we wish to express our sincere appreciation to Salesforce for their ongoing partnership and support, for the flexibility of the Consulting Partner Program and immense opportunities the program opens up to help boost their consulting partners’ success. We do strongly believe the sky is the limit, so we’ve set our sights on achieving Gold and Platinum levels further down the line as well as enlarging our footprint in European and US markets.